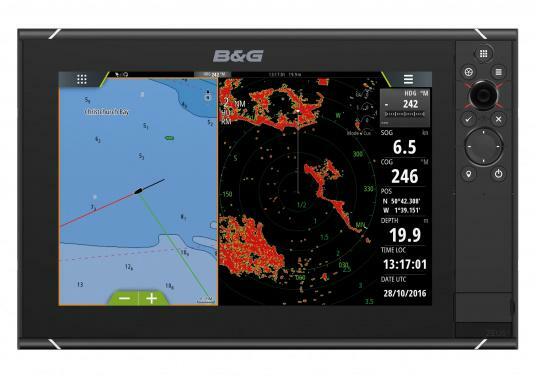 A complete chartplotter with a stunning level of performance, functionality designed specifically for sailors. 4G broadband radar included. €5,389.95 Incl. tax, excl. shipping. Its 12-inch touchscreen display, powerful electronics and excellent range of functions were specifically designed with sailors in mind. 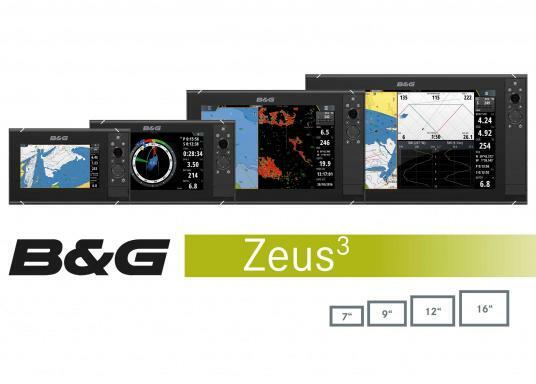 The Zeus³ 12 is a complete chartplotter navigation system for blue water cruisers and regatta racers. This high-performance multifunction display features a 12-inch widescreen display, incorporating SolarMAX™ HD technology for brilliant daytime visibility and ultra-wide viewing angles. To ensure reliable control in all conditions and situations, Zeus³ incorporates an all-weather touchscreen that works even while wet. It combines this with an integrated rotary dial and keypad capable of controlling all display functions. Both sets of controls can be used simultaneously, or Zeus³ can be switched to non-touch mode for dependable operation under the most extreme conditions. 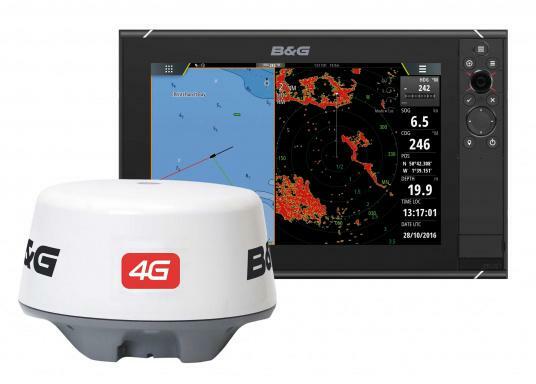 The B&G Broadband 4G™ radar antenna offers beam sharpening and dual-range radar for maximum navigational safety and better visibility on board. 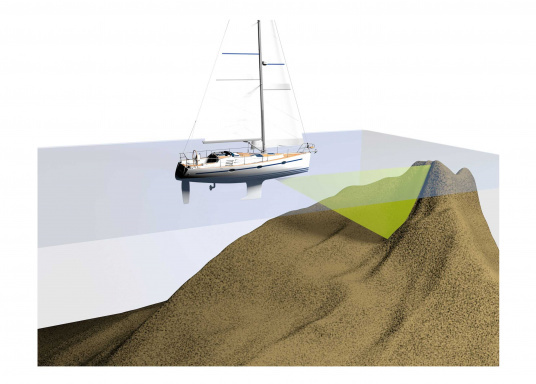 Crystal clear radar images and excellent radar target detection and distinction are guaranteed. Ships at anchor, docks, channel marks and other critical targets are displayed clearly and are easily distinguishable from one another. Note: Radar antenna is supplied with a radar interface box, ethernet cable (length: 1.8 m) and radar antenna cable (length: 20 m).